The definitive monograph on a master of modern design. The graphics, interiors, and products designed by Vignelli Associates are internationally recognized for their refined aesthetics, evolving modernity, and crisp execution. This landmark volume is devoted to Massimo and Lella Vignelli’s influential work produced from their New York headquarters since the 1960s, as well as rarely seen early work produced in their native Italy. 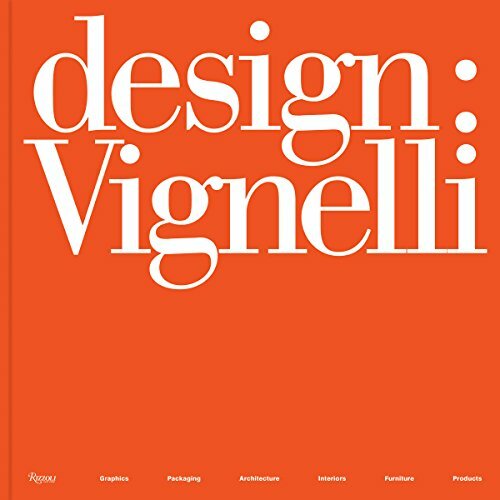 Design: Vignelli presents the brilliant multidisciplinary approach of the Vignellis, from designs for corporate identity programs including American Airlines, Bloomingdale’s, and Benetton, to world-famous signage for the New York subway system. Their firm was also notable for its interior and furniture design, designs for magazines and newspapers, glassware and tableware, and an exhaustive collection of book designs. Many of these works have been cited as masterpieces of twentieth-century design and are included in the design collection of the Museum of Modern Art as well as in many other important museum collections.